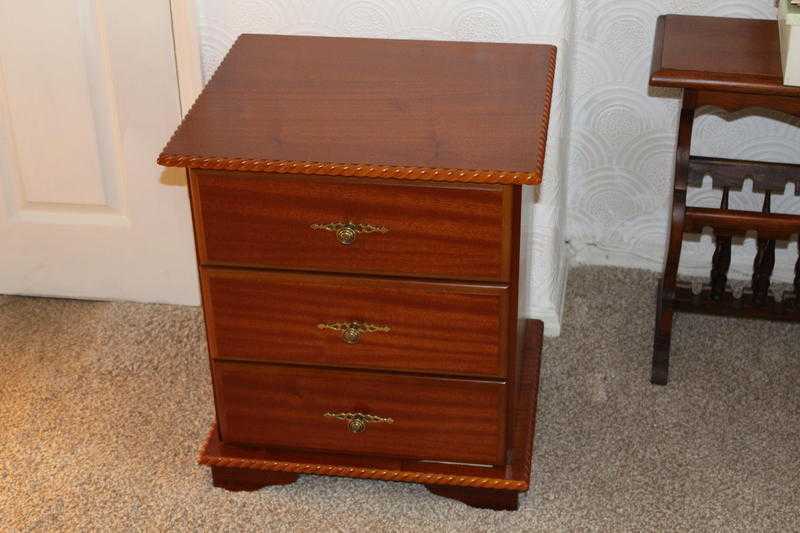 As new condition mahogany bedside cabinet with 3 drawers. Lovely piece of furniture which could easily be used elsewhere in the house. £35 for quick.